With his family and friends already gathered, former NFL first-round pick Jeremy Maclin took the opportunity at his wife’s baby shower to also announce his retirement Sunday morning. "Something I want to share with everybody is that I'm retiring from the NFL," the receiver said. "I'm done." Maclin, 30, was the 19th overall pick in the 2009 draft. He played the first five years of his career for the team that drafted him, the Philadelphia Eagles, then played two for the Kansas City Chiefs, and one for the Baltimore Ravens before being cut in March 2018. In his years in Philly, he racked up 343 catches, 4,771 receiving yards and 36 touchdowns. He finishes his NFL career with 531 receptions and 7,134 yards, good for 50 touchdowns. 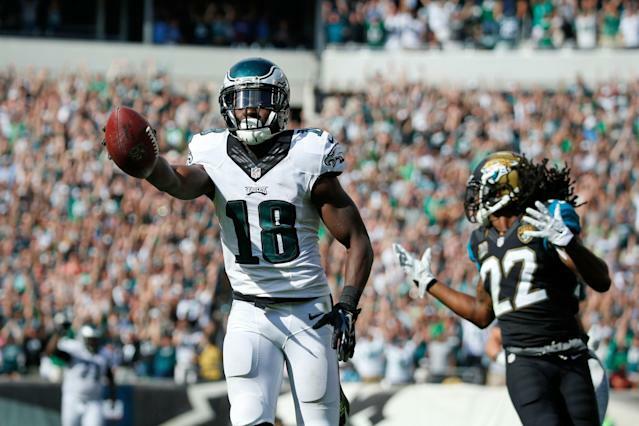 Maclin tweeted that he will soon provide more of the context behind his decision to call it quits. Likely, it has to do in part with the recurring hamstring injury that had kept him out of games since 2017.